After reviewing the October 5, 2015 version of the IP Chapter, UACT concludes the Pacific Partnership (TPP) agreement TPP will raise prices for cancer drugs. The TPP will require parties to grant patent extensions, monopolies on drug and vaccines test data, patents on new uses of old drugs, all of which expand and/or extend drug monopolies, and reduce the space for needed reforms in national laws. UACT also notes the process for negotiating the TPP lacked legitimacy because of the secrecy for the public combined with special access to information given to drug and medical device companies during the negotiation. Australia is claiming the TPP IP Chapter is not subject to the Investor State Dispute Settlement (ISDS) mechanism. This claim should be verified, since earlier versions of the agreement provided a much narrower protection from investor actions against governments. While the TPP focused on expanding intellectual property rights, it also failed to give attention to innovative approaches to stimulating R&D for new drugs, vaccines and medical devices that delink R&D costs from product prices. Such new approaches would ensure the development of needed new treatments at affordable prices. UACT calls upon governments to reject the TPP, and refocus the trade negotiations processes on the public interest. In particular, future agreements should provide transparency of the negotiating texts, abandon all efforts to pursue obligations that raise drug prices, and to create new agreements among governments to increase public sector grants and subsidies for research that delink R&D costs from product prices. Without such a redirection we will likely see a world in which cancer treatment becomes a luxury for the rich. About Us: The Union for Affordable Cancer Treatment (UACT) is an international network of people who share the conviction that cancer treatment and care should be available everywhere for everyone regardless of gender, age, nationality, or financial resources. 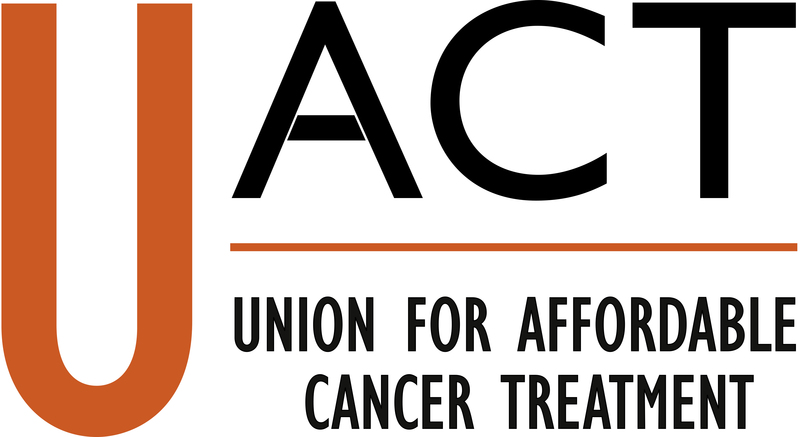 For more information about UACT, please visit http://cancerunion.org/about.html.